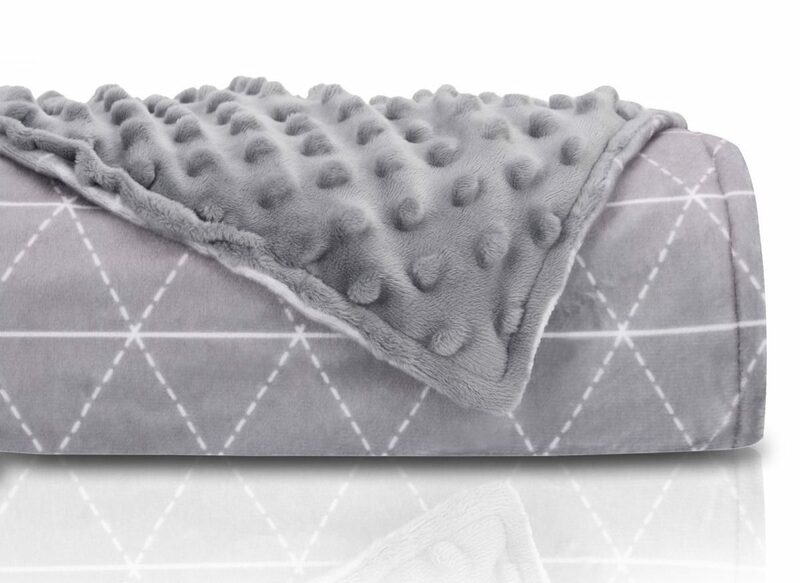 Weighted blankets are exactly what they sound like — they’re heavy blankets (typically 10 pounds or more) filled with a material such as plastic pellets or in the case of the Rocabi blanket, fine non-toxic glass beads which provides a superior and even weight distribution. The concept behind the blankets is that lying underneath constant and evenly distributed pressure will produce a calming and relaxing effect mimicking the sensation of being hugged or held. Studies have shown that weighted blankets can help those suffering with insomnia and stress by elevating serotonin levels so, understandably I was very interested to see whether a seemingly simple, albeit heavy, blanket could really help promote a restful night’s sleep. 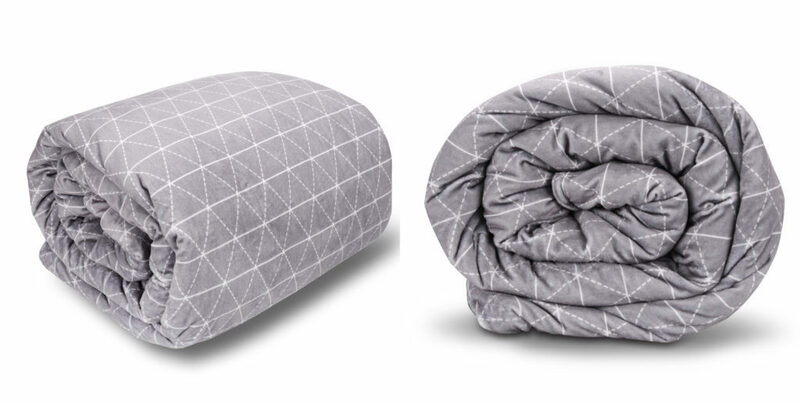 The first thing you need to know about a weighted blanket is that it comes in varying weights. The right blanket for you depends on your size, since it should be equivalent to 7%-12% of your body weight, so a 15 lb weighted blanket for adults is perfect for a 120-170 pound person. I sampled the 20-pound Rocabi blanket and after a week of testing, found it to be slightly too heavy for me. The second thing to know about the blanket is that it’s supposed to fit your body and not the bed. It’s not the size of a duvet, it lays on top of the bed and should not hang over the sides and it’s also not really meant to be shared so it won’t cover both you and a partner at the same time. The Rocabi blanket is 60” x 80” or 80″ x 86″ (King). 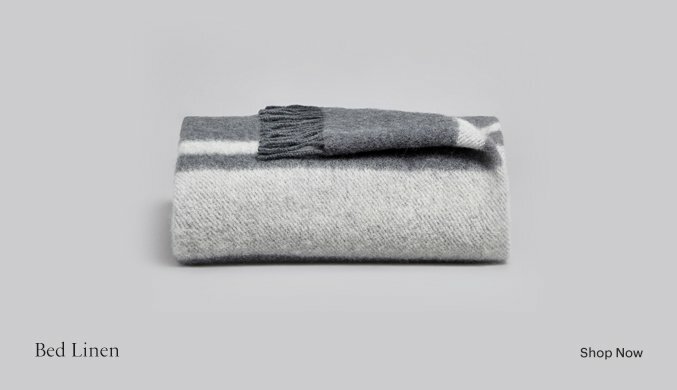 The blanket when it arrives is certainly heavy, but it also feels really cosy and soft and looks very inviting. Its cover which incorporates textured dots for sensory feedback, is removable for washing. When I slip under the blanket I definitely feel the sensation of being firmly hugged, of being in a cocoon and this deep pressure stimulation is apparently responsible for the blanket’s calming effect as it makes you feel very secure. The pressure of the blanket also makes it harder to move around during the night and therefore if you are a restless sleeper or suffer with restless leg syndrome, you are less likely to disturb yourself whilst you’re asleep. Did I find the blanket works for me? The answer is “yes”. My mind tends to race when lying in bed making it much harder to get off to sleep, remarkably, the blanket actually seemed to calm my mind sufficiently that I found it easier to fall asleep and stay asleep consequently waking up feeling much more refreshed. The blanket is also great for snuggling under, whether watching tv or working on the laptop but be warned, several times I’ve found myself almost nodding off! 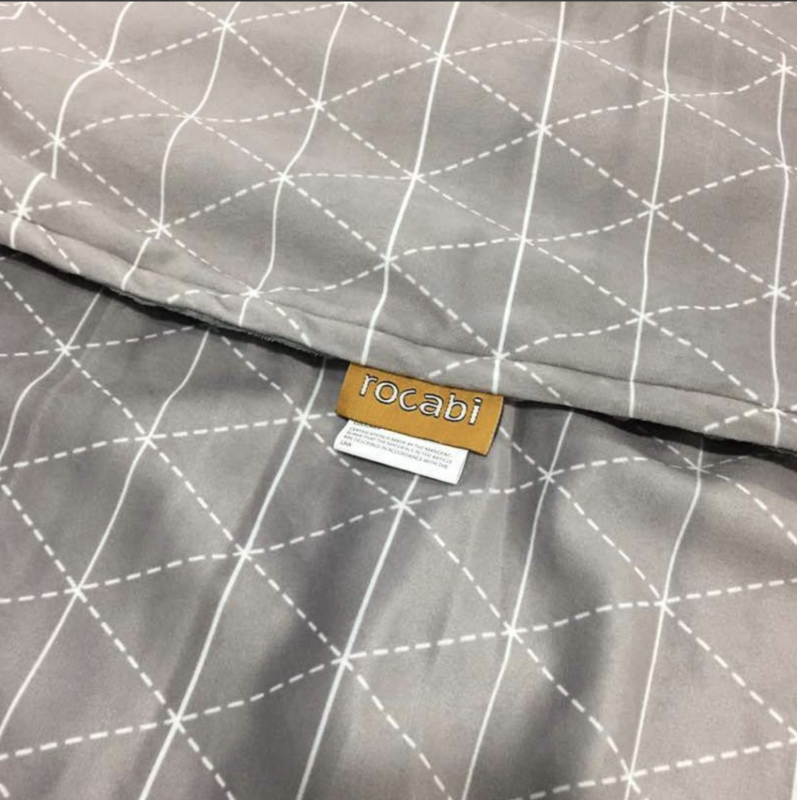 So, if you’re struggling to get to sleep or fighting a losing battle with stress which keeps you tossing and turning at night, I can certainly recommend the Rocabi Weighted Blanket to you.